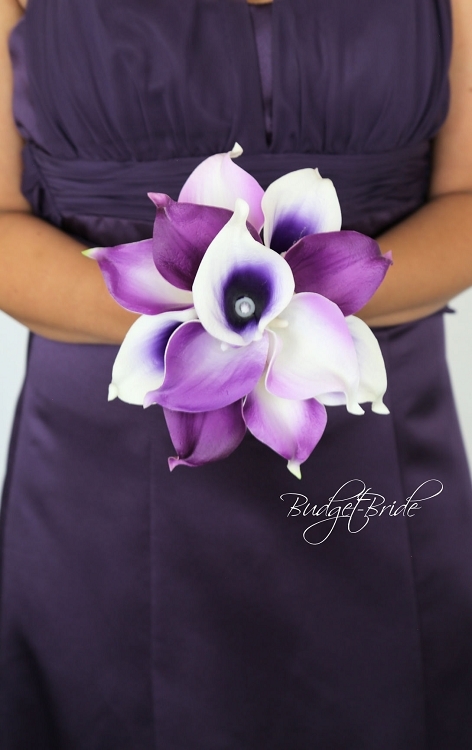 The picture shows the bouquet in a mixture of 4 colors, dark purple, purple halo, lavender and purple tipped. You can pick up to 4 colors you would like your bouquet. Glitter calla lilies are an additional charge. The stems of the bouquets will be wrapped in satin ribbon and accented with a jewel. 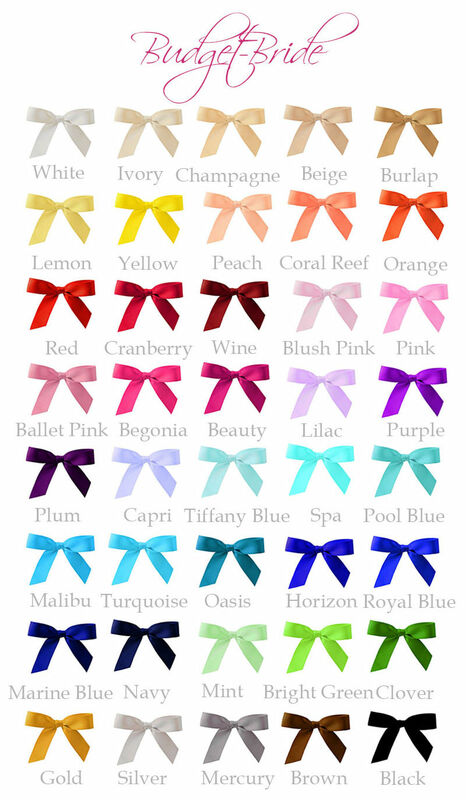 The ribbon is available in the following colors. You can get the flowers scented, we offer 5 different scents. You can also order a Photo Proof of your creation. We will email you the picture before your flowers are sent.